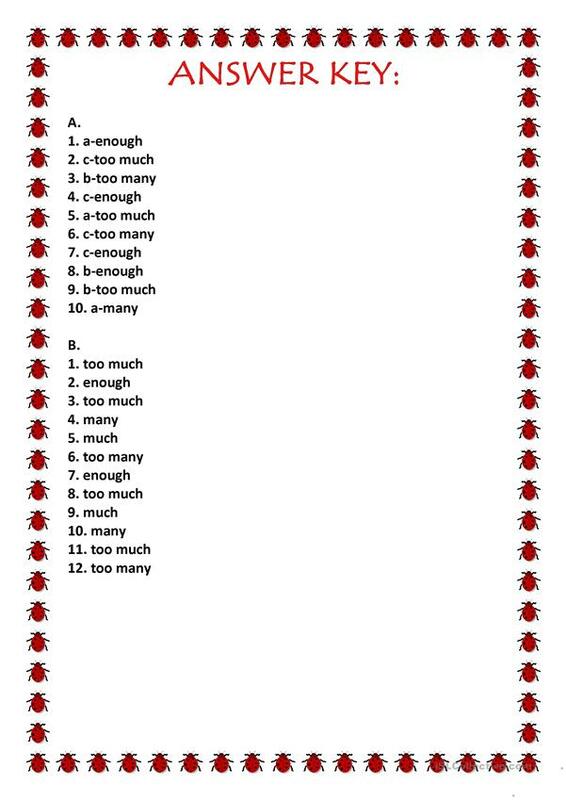 Exercises with: much/many, too much/too many, enough. Answer key included. 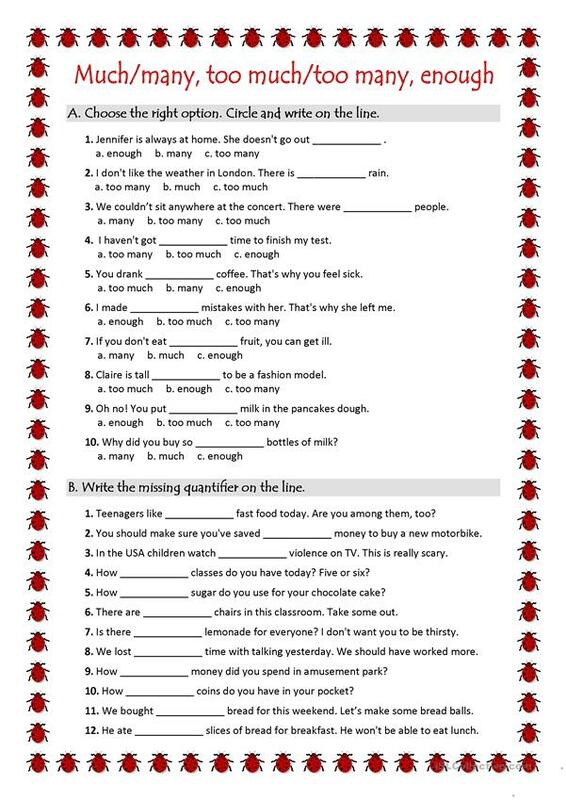 This printable, downloadable handout is meant for elementary school students at Elementary (A1) and Pre-intermediate (A2) level. It is great for practising Quantifiers (e.g. some, many, much, any, few, little) in English, and can be used for honing your pupils' Writing skills. It includes the solutions, too.